At its height in the sixteenth and seventeenth centuries, the Mughal Empire was one of the largest empires in Eurasia, with territory extending over most of the Indian subcontinent and much of present-day Afghanistan. As part of the Persianate world that spanned from the Bosphorus to the Bay of Bengal, Mughal rulers were legendary connoisseurs of the arts. Their patronage attracted poets, artists, and scholars from all parts of the eastern Islamic world. Persian was the language of the court, and poets from Safavid Iran played a significant role in the cultural life of the nobility. 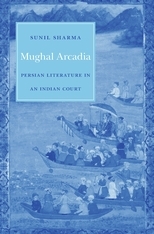 Mughal Arcadia explores the rise and decline of Persian court poetry in India and the invention of an enduring idea—found in poetry, prose, paintings, and architecture—of a literary paradise, a Persian garden located outside Iran, which was perfectly exemplified by the valley of Kashmir. 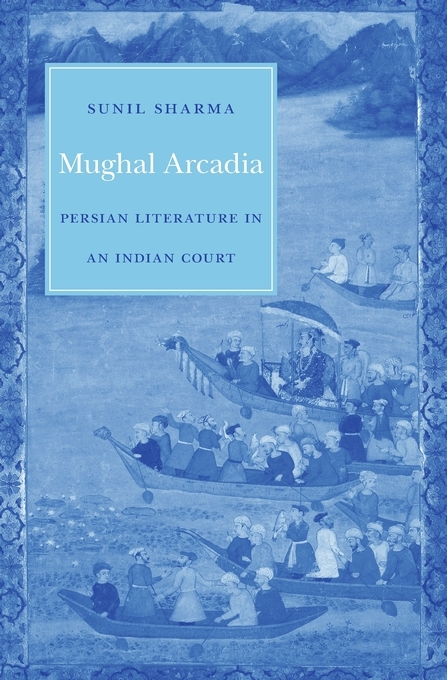 Poets and artists from Iran moved freely throughout the Mughal empire and encountered a variety of cultures and landscapes that inspired aesthetic experiments which continue to inspire the visual arts, poetry, films, and music in contemporary South Asia. Sunil Sharma takes readers on a dazzling literary journey over a vast geographic terrain and across two centuries, from the accession of the first emperor, Babur, to the throne of Hindustan to the reign of the sixth great Mughal, Aurangzeb, in order to illuminate the life of Persian poetry in India. Along the way, we are offered a rare glimpse into the social and cultural life of the Mughals.